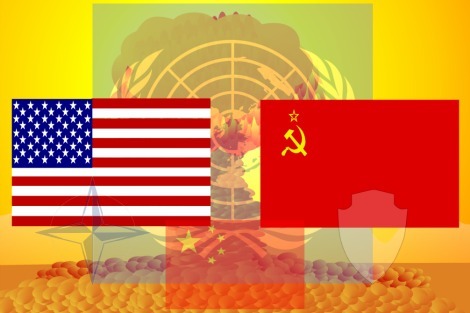 In 1985-1990, as the defeated and dysfunctional Soviet Union eked out its final years under Gorbachev, Western foreign policy theorists were thinking about the looming end of US/Soviet Cold War bipolarity and its replacement with a stable multipolar global system. They envisaged an international security system resting on several great powers, not necessarily equal in power, but in which all felt their national security was protected by a UN Security Council-based and rules-based international order. But when did it end? With the 2001 Al Qaeda terrorist attacks on the US heartland? With the withdrawal of US forces from Iraq after a costly and bloody military occupation? With Russian President Putin's newfound resolve in 2008 when, after eight years of trying to reach a modus vivendi with a triumphant United States, he began to confront US/NATO pressure to move into Russia's vulnerable Western borderlands, first in Georgia and later in Ukraine? With the coming to power in China in 2012 of the vigorous nationalist leader Premier Xi Jinping? Or now in 2015, with Russia's military assistance to the Assad government in Syria, and China's intensification of its fortification of islets and reefs in the South China Sea, despite US anger? Professor Ramesh Thakur at the Australian National University has noted that it is hard to map great power transitions with confidence while they are occurring, and that there are increased risks to peace during these transitions. We are in such a period now. Whatever the date of the tipping point, the US unipolar moment is ending. Russia, China, India, Brazil, South Africa (the BRICS) and Iran are testing new multipolar arrangements for sharing world power — initially in finance and trade, but as we will find in coming years, in politics as well. The former 'indispensable' power' of the past 25 years hates and fears these changes, and would prefer to corral everybody back into the familiar bipolar camps of the past. We are looking, at worst, at a potential new bipolarity of the US with its loyal allies or satellites (NATO/ EU, Japan, Canada and Australia, pro-US Arab states) confronting a new Eastern continental power bloc led by an economically strong China, but with Russia's revamped military strength providing much of the nuclear deterrent, conventional power projection forces and strategic depth. This would be a disaster. The world spent decades trying to escape the risks of nuclear war during the 1948–1991 Cold War confrontation. Why would Australia ever wish to go back to those risks? And why would Putin or Xi want to, unless US aggressiveness left them no alternative? Soviet Communism is dead, and the market-oriented Chinese version is no ideological threat. Both leaders are keen to work within a multipolar and UN Security Council-determined framework of collective global security. But a US 'war party', influential in both Republican and Democrat parties, seeks return to a neo-Cold War: by force of habit, and because it is hard to maintain voter support to pay for the world's leading military capability without an adversary more serious than Al Qaeda or ISIL. The US power structure needs a big strong enemy. Australia doesn't. We will benefit from a stable rules-based multipolar world, and our foreign policy can help build it. But we are going to have to take a few calculated risks on the way. We can't be a dumbly obedient janissary for the US in its prickly relationship with China. We have to strike our own balances, respecting Chinese great power security concerns in the South China Sea — not so different to long-held US security concerns in the Caribbean. Similarly we have to respect Russia's security concerns in its adjacent borderlands to the West and South. Neutrality of Ukraine could be made to work, as it works for Finland. Ukraine's neo-Nazi extremists need to be reined in, not clandestinely encouraged by the West. NATO's newest members Poland and the Baltic States need to accept Russia's rights to security. And the West need to treat Putin with the respect due to the capable leader of a great nation, with huge territory and resources and on the path, despite hiccups, to a middle-class parliamentary democracy. Australia needs to welcome the opportunities for us in the world's growing multipolarity. Hiding behind US skirts will not protect us in the end: we need to contribute good ideas to the ANZUS alliance. Australia needs to move towards a smarter, more adept global diplomacy. There is uncertainty about the next US president and his or her quality of strategic judgement. The US will need wisdom and frankness from its allies, not blind loyalty. The unmourned departures of Abbott and Harper, Canada's choice of a youthful open-minded Justin Trudeau, and David Cameron's kowtowing to Xi Jinping during his recent state visit to London, all signal to Australia that it is time for a serious foreign policy audit. Multipolarity will be good for Australia's economy and security if we seize its opportunities for strengthened global and regional peace and security. We are well placed as a rich multicultural nation to contribute and benefit. Neither the Coalition, nor Labor, nor the Departments of Defence and Foreign Affairs, nor the assessment agencies, show much sign of beginning to think about these challenges. It is time they did. Tony Kevin is a former diplomat. "But a US 'war party', influential in both Republican and Democrat parties, seeks return to a neo-Cold War: by force of habit, and because it is hard to maintain voter support to pay for the world's leading military capability without an adversary more serious than Al Qaeda or ISIL. The US power structure needs a big strong enemy." So it is also the power struggles inside the big nations which are threats. When as you correctly state that the USA (and we) need an enemy there is a madness, a fight flight ethos which as we saw under Abbott and which politicians find easy to exploit. If we do not want to live under threat we need to ask what we are and what we want. This begs the essential question: What is Australia and what is our job in the world? Michael D Breen: "What is Australia and what is our job in the world?" The Roman ‘god’ Janus had 2 faces, one looking backwards, one forward. In times of war the doors of his temple were open, but in peace, they were closed. . We seem similar. In strife our minds are open to ideas for improvement, but in prosperity we close our minds and indulge in nostalgic reveries of old traditions, and thoughts of our good fortune, and wonder why the rest of the world think they can come and share it with us. We have explored IQ, providing for increasing intelligence. We became aware of EQ, the need to integrate feelings so as to behave ‘Professionally’ in testing situations. There is growing recognition of SQ, a spiritual dimension of life considering such questions as the meaning of life, the influence of a ‘Higher Power’ in our lives. Yet despite the material aspects of life reducing us to members of a ‘global village’, w e drag our heels when considering UQ, our universal dimension, making us all like cells in one great Human Body where each person has their place and finds fulfilment in it. This article should be compulsory reading in DFAT and other government departments (definitely Defence) for starters. Professors and lecturers in International Relations (even if they don't agree with Tony) could set it as a tutorial subject: 'Discuss the pros and cons of Mr Kevan' thesis'. It would be a great challenge for agile minds. It certainly stirred my atrophied grey cells from their Cold War hibernation. Precisely Uncle Pat, it's well past time that Australia developed its own foreign policy, one that does not involve forelock-tugging to Britain, hiding behind Uncle Sam's coat tails, or kowtowing to China. Fr. John George rightly points out the Chinese are not to be embraced or trusted. The regime, imprisons, tortures and persecutes individuals not sharing the ideological view of those corrupt billionaire officials busy siphoning their new found wealth into western property. Organ harvesting of Falun Gong members and other countless human rights abuses. Industrial espionage on a global scale - are our submarine plans safe ? Thankfully, this view is not held by the people making decisions on national security issues. Tony Kevin’s “Time to come to grips with US dominance” is a superb reminder to us all. And most of all on Syria. Australia should make up its own mind. We the West, started a sectarian war in Syria - Sunni versus Shia. Since then, more than 250,000 Syrians have lost their lives in four-and-a-half years of armed conflict. More than 11 million others have been forced from their homes as those loyal to President Bashar al-Assad battled the “Free Syria Movement - as well as the jihadist Islamic State. The country’s population is mixed: Sunnis (.60 percent of the population); Christians (10–12 percent); Alawites, a Shiite offshoot. (10–12 percent); Druze (about 6 percent); and minorities, primarily Kurds and Armenians. As Ted Galen Carpenter tells us in Mediterranean Quarterly 4/1, the 2011–12 rebellion is a largely Sunni bid to overthrow that “coalition of minorities” The United States supported that prising .It had been in conflict with Syria since the Neocons behind President Bush. We can join Vladimir Putin in calling for a plebiscite. We can join Iran in the same call . In a rigorously UN supervised election Bashar al-Assad would likely win. The civil war will end. We can then turn our attention to the Sunni dominated Islamic State. Thanks for this excellent article, Tony. I suspect the problem is not unique to Australia and your words of wisdom suggest a path forward. There is a Manichean demand to "take sides" and even though the "hyperpower" of the US is declining, there is still a push forcing countries into blocs. (Take the case of Russia and China which, although not natural allies, have effectively been forced together by circumstances.) If Australia and other countries in the region are smart, I suggest that they will buck this trend and position themselves as brokers between the great power blocs rather than thralls to one or other of them. It is tempting to view the aftermath of terrorist attacks such as those in Paris as a well-rehearsed script. There are condemnation of the killings, sympathy for the families of victims, resolve to seek and punish perpetrators, expressions of solidarity across nations. Also, assaults targeting Muslims on the street and in policy. This time a few things have gone off-script. 'Hugs and hashtags' won't stop ISIS, but there is strength in refusing to cede control over our language and behaviour to terrorists.